The confidence of Lithuania's residents in the ruling Lithuanian Farmers and Greens Union has been declining for a few consecutive months, however, the party remains at the top of the popularity list, shows the latest Vilmorus poll published in Lietuvos Rytas daily on Saturday. Should elections to the parliament be held next Sunday, the party would secure 21.7 percent or the vote, down from 23.6 percent in February. "This is not a big figure over a month, however, their popularity has declined by 10 percentage points since December. (…) This may not be a dangerous tendency, they are still very popular, however, it is still a tendency," Vilmorus CEO Vladas Gaidys told the national radio LRT. 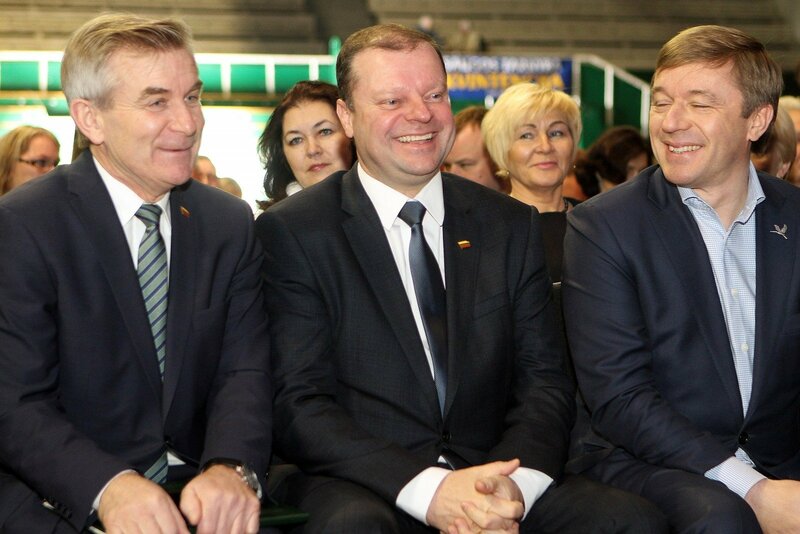 The popularity list is continued by the opposition Homeland Union – Lithuanian Christian Democrats (conservatives) with 13.6 percent (12.1 pct in February), the ruling Lithuanian Social Democratic Party with 7.8 percent (9.6 pct), the opposition Liberal Movement with 5.1 percent (4.3 pct) and the Electoral Action of Poles in Lithuania – Union of Christian Families with 3 percent (2.7 pct). In March, 15.4 percent of respondents said they would not go to polling stations at all (13.1 pct in February), while another 21 percent (20.3 pct) said they did not know the party to support. The survey was conducted for Lietuvos Rytas on March 8-12.